Makeup Geek recently confirmed to me that their gel liners are vegan. YAY! So I thought I'd share this news for anyone who was wondering and also post a swatch of the colours that I have. I absolutely love these liners. 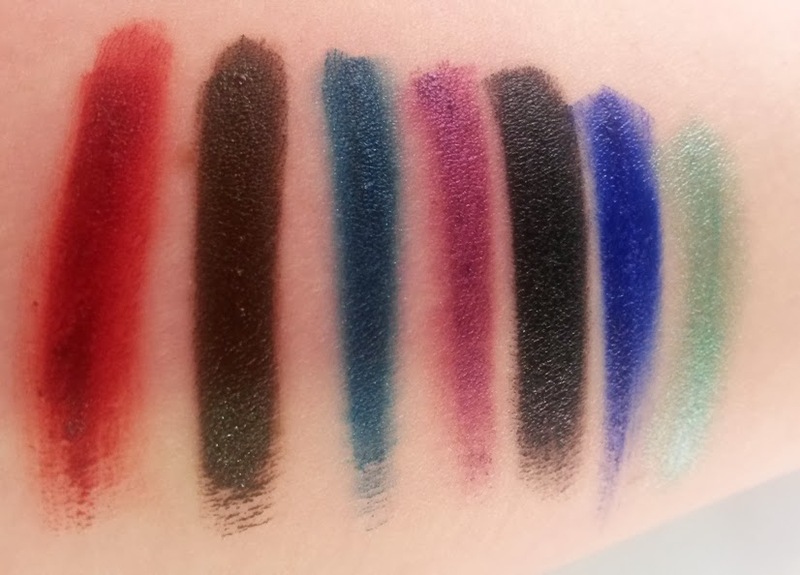 They are smooth and pigmented, I mean just check out Immortal in the swatch below..... SUPER black and way smoother and creamier than MAC's blacktrack (in my opinion). 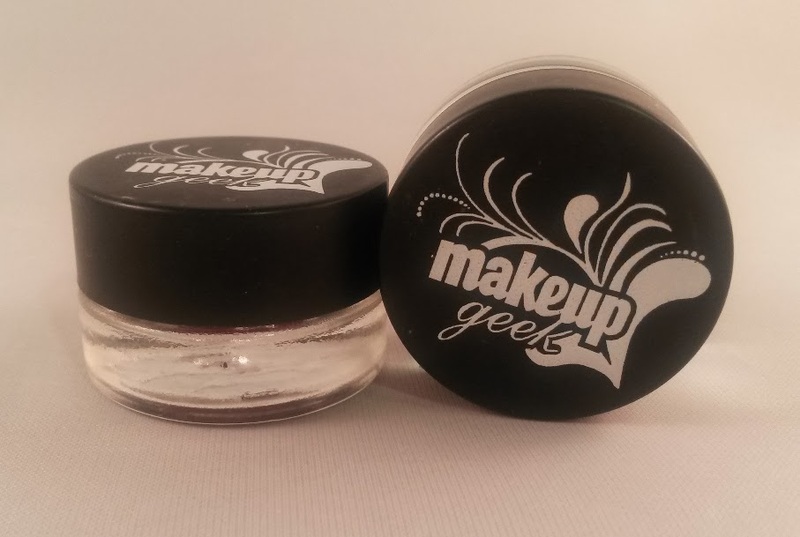 They are also waterproof and so they're great for the waterline. They also make a great base for making shadows pop more and last longer. Fame is my absolute favourite. The picture really doesn't do it justice in any way; it is the most beautiful shiny teal colour that look amazing over a neutral, taupey coloured shadow for a pop of colour. Immortal and Mobster are also must haves in my opinion - they are a staple in my bridal makeup kit! So yeah, big thumbs up from me.